Atari, the iconic video game maker, is jumping head first into the Internet of Things. 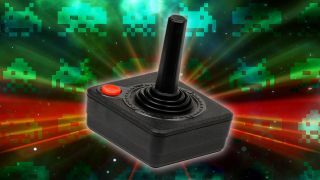 A partnership with SIGFOX, a French global communications service provider, means Atari will launch connected devices later this year. Exactly what Atari and SIGFOX are planning is still a mystery, as the companies only teased news of their partnership in a press release. Will it be a series of sensors that can detect incoming missile attacks or an alien centipede invasion? No one knows. The only clue they've given us is that its initial products will fall into the categories of "home, pets, lifestyle and safety." This isn't the first time Atari has dabbled in other areas than gaming. In 2014, we reported that the company would begin creating wearable tech. "For success in a digital era, the world-renowned company is expanding its business and brands to mobile and online gaming platforms as well as completely new entertainment markets," read Atari's press release at the time. SIGFOX currently operates in 18 countries and has over 7 million devices running on its network. The company's goal is to create a "seamless network that provides ubiquitous connectivity for billions of objects." SIGFOX doesn't operate like a typical wireless carrier where you have to hook up only specific devices. Instead, it allows supported devices to connect instantly to its network without the need for local internet connectivity or pairing. "Atari, which has disruption rooted in their DNA, was quick to envision the transformative role that the Internet of Things can play in interactive entertainment," said SIGFOX CEO Ludovic Le Moan. "Our network bridges the virtual and physical worlds simply, reliably and inexpensively and this collaboration will launch a new dimension to gaming, while supporting features that are limited only by the imagination." That's a lot to promise but hopefully some interesting and useful products come out of Atari's partnership with SIGFOX.